25. Nike Air Force 1 High "Stash"
The first Nike creation from graf artist Stash, the "Fat Caps" Air Force 1 High was later selected as the best Air Force 1 of all-time at Nike's 2007 1NightOnly in celebration of the shoe's 25th anniversary. The 2002 edition featured a translucent sole, mesh sidepanels, and came in a custom case. Separate Tokyo and NYC editions differed by the print under the sole as well as the color of the case. 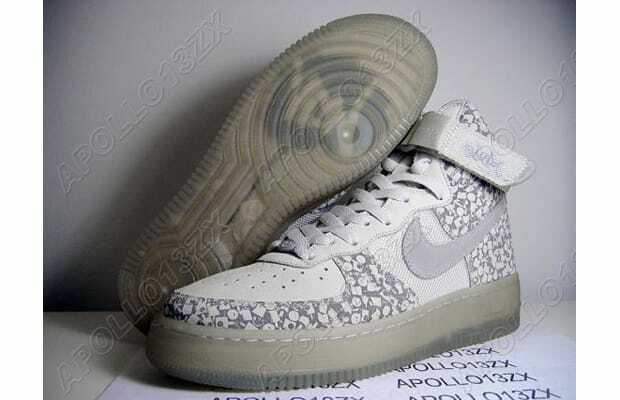 The "retro" versions produced in 2008 differed as they had "1NightOnly" tagging and metal eyelets.